Chennai has a host of cuisines available from across the nation made rich by its varied migrated population. The three Foods that you cannot miss while in south esp in Chennai is undoubtedly Idly, Dosa and Coffee. These three foods deserve a special place and would be too insulting to put it under one South Indian Cuisine Banner. Many Restaurants specialize in these three food items, as it is native to this place. My vote for best Idly goes to ‘Murugan Idly Shop’ esp one in T.Nagar. There have expanded with some branches, while predominantly standardized, the branches in some cases do not live upto the reputation of the first shop in T.Nagar. The super soft Idly is augmented by the four variety of chutneys (Coconut chutney, Tomato thokku, Green chutney, and one tamarind based chutney) and Sambars that they served unlimited. There is no concept of one plate containing two idlies or should be ordered in multiple of two, which is prevalent in most other restaurants. You can order any number of idlies, odd or even and the billing will be for that exact number. On top of all the unlimited chutney’s and sambar, Murugan Idly shop made famous the unsung hero, the dosa mulagaipodi with Ghee. This although is so common place at every south Indian Home and a necessary accompaniment to Dosa and Idly, even today hardly any other South Indian restaurants give them. Murugan Idly Shop, not only gives the podi, but charges it a premium, a whole new game indeed. 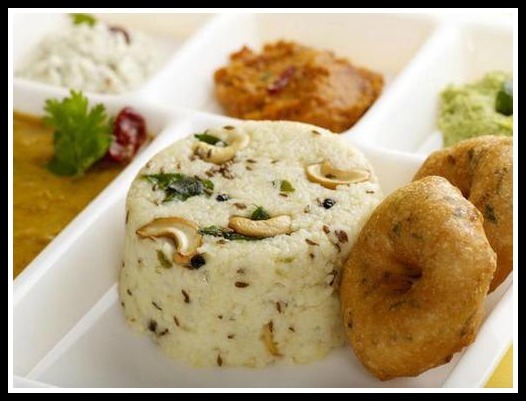 While you are there, you may also try the pongal, dosa, uthappam and sweet pongal. They serve in banana leaf plates and thonnai’s making the servings both eco –friendly and authentically Tamil. 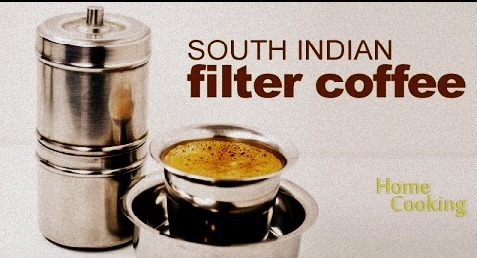 Making South Indian Filter Kaapi is an art difficult to master, a number of the restaurants here have mastered the art. Ratna Café and Saravana Bhavan are some of the better known for their coffee. The frothy thick dark slightly bitter Kappi in the traditional tumbler and dabara and the aroma of the freshly roasted coffee beans is a treat to all the senses. The Kaapi is not just tempting but deeply addicting. Filter Coffee is a process by which decotion of the Coffee beans is obtained in a filter process and mixed with milk and sugar. Having grown up in the south with such expectations on a coffee, I mostly restrict myself to drinking tea, elsewhere as not many coffees meets the challenge of the Kaapi !! On the highways, there is a new chain which exclusively serves filter Kappi, called the Kumbakonam Degree Coffee. The coffee is served piping hot in brass tumbler and dabara and tastes really good. If you are going on a long drive and need to keep awake, this will ensure you don’t snooze off. 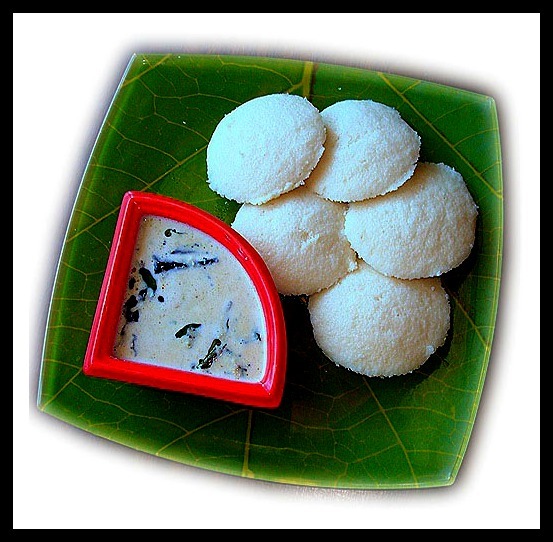 Another traditional south Indian Food, made from the same batter that makes Idly, but with a process vastly different. While Idly is made in a steaming process of the batter, Dosa follows a shallow frying process. Dosa and Uthappam also allow you to be creative, and there are several versions with various fillings of onion, tomato, podi, ghee, etc, but most of the versions stay true to the typical south Indian Palate. 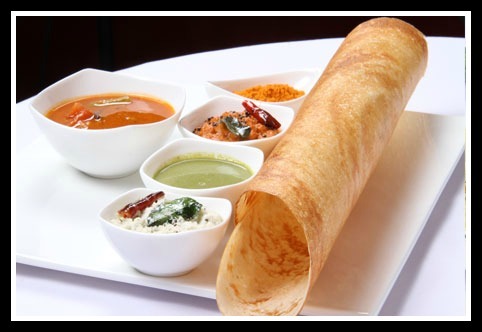 Saravana Bhavan and Sangeetha are some among the well-known restaurants that serve great Dosa’s and Uthappams. Even the plain dosa, with its crispy brown texture and the variety of chutneys is quite a treat. But then be adventurous and try some random combinations. With a dosa, it’s difficult to go wrong with the choice. But have it piping hot right out of the pan, even a slight delay can cause the crispy texture to go rubbery and cause it to lose its magic. My personal favorite is RajaRaja Cholan Dosai in Matsya, Egmore. It’s one of the most innovative masala dosas you will find in the south, a pleasure to the eye and to your tummy, royalty of the dosa fillings aptly captured by the majesticty of its name denoting the famous chola king of the same name. Ghee Pongal/Vada served hot with Coconut chutney and Sambar is a lip smacking breakfast dish that can make you slightly sluggish. This too like most of the other items in south is primarily made of Rice accompanied by dal and a generous amount of Ghee. Crispy hot Vadas with Ghee pongal can make you gluttonous. Hot Chips data-custom-mark="true" make some amazing pongal and Vadas, but this too being an original food of this region, most restaurants do a good job at it. The only problem with Saravana Bhavan is their serving size. Most of their products are served in sizes that only fit that of a sample and they refuse to provide any of the chutneys or sambars extra. Bajji Stalls in Besant Nagar Beach is a good beach street food delicacy I never miss when I’m there. You can try the mix Bajji’s or have the Bajji’s served in any combination. Each of their bajji’s – Plantain, Cauliflower, Onion, Potato are all served hot right out of the frying pan and tastes yum. Be ready with a tissue to dry out the oil though before you eat it. Although not a conventional south indian delicacy, Bread omlette from two places is a definite delight and not to me missed for a eggetarian. The other shop that has an amazing bread omlette is the outside of Madhya Kailash. This shop is a hot favorite of a number of these people in IT corridor who work night shifts and does buzzing business, through the night. The mixed metro crowd ensures that Chennai also has some really good chat places, Gangotree, opposite to Stella Maris’ college, now also available in many malls and offices around Chennai serve great chat items including panipuri, Sev puri etc. Their best sweets being Rabadi Malai and Carrot Halwa. 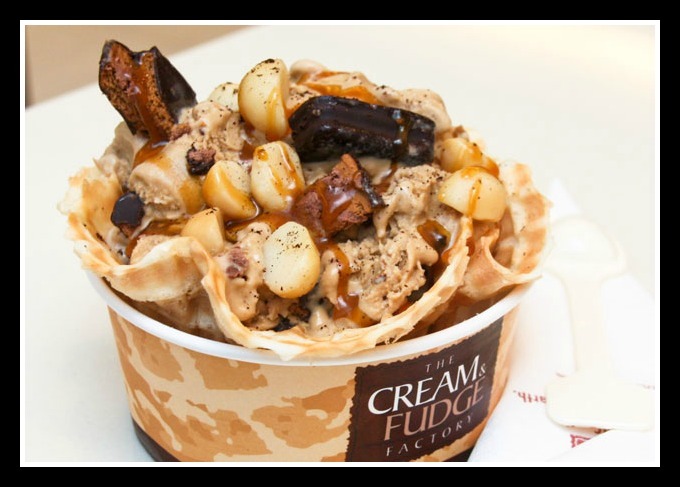 Cream and Fudge, Khader Nawaz Khan Road and also in Phoenix, Velachery has some amazing mouthwatering ice-creams. It’s a sheer delight to see them combine different topping and custom make an ice-cream. Prices are absolutely reasonable, much cheaper than the over hyped imported counterparts. 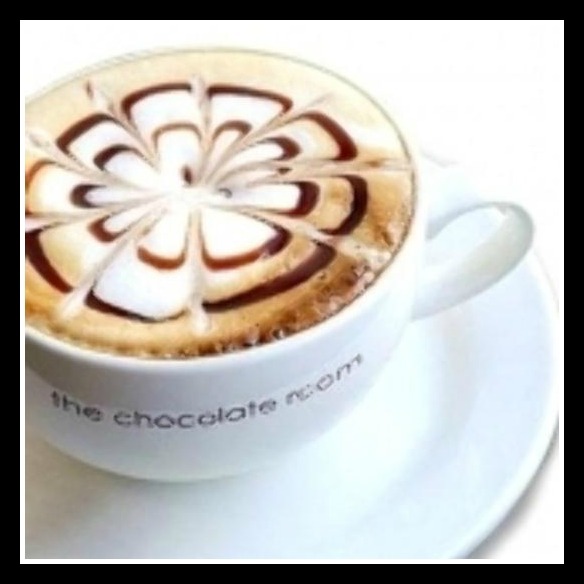 Chocolate Room, Velachery is a great hangout place that has some really good chocolate drinks. Ambience is great with plushy cushions, and so I often prefer it over the coffee days in the same area, even though occasionally AC doesn’t work or a whole section of menu card becomes unavailable, but I have predominantly had very good experience in there. So what are your favorites, please do drop in your thoughts in comments ! !